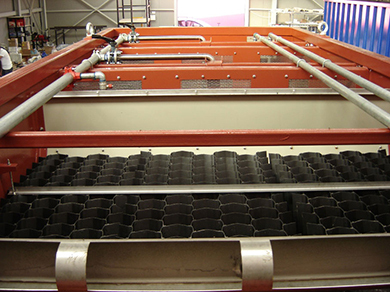 EEC Global Operations with our global team has developed some very innovative systems of package plants for wastewater in a compact and pre-fabricated format which are an excellent solution for the sewage treatment of small communities and municipalities (i.e. our range of product’s capacities starts from 40m3/day up to 5000 m3/day), while they can be a unique alternative to the wastewater treatment of industrial effluents. 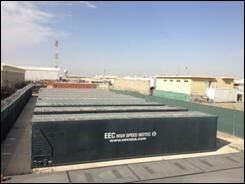 EEC offers its clients a high standard of services on wastewater package plants and always strives to find the most optimum solution to their environmental concerns. 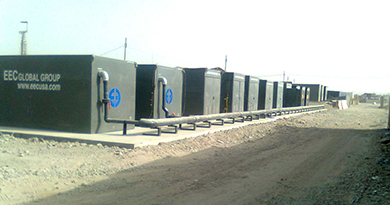 EEC specializes in the DESIGN-ENGINEERING & MANUFACTURE of Special Packaged (Prefabricated) Plant Solutions for Municipal Treatment Plants between 500 – 5000 m3/day while we can provide some special solutions with Partly Prefabricated Plants for facilities upto 10,000 m3/day. For Conventional Technology Municipal Sewage Treatment Plants larger than 10,000 m3/day, we can offer only specialized design and engineering services. For Equipment and Machinery we use standard equipment manufacturers. 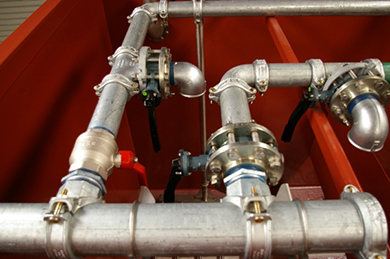 Our scope of supply is very specialized and very innovative and covers many “Decentralized Sewage Treatment Applications” and we have solutions for many challenging Industrial Wastewater Treatment and Biological wastewater treatment applications in different industrial sectors as we offer custom plant design for each case. Our scope of supply and services can be summarized in the following points.